Spearmint a native of the Mediterranean area. The ancient Greeks used it to scent their bath water. It had a reputation for curing sexually transmitted diseases like gonorrhea and during the medieval times, spearmint was used to heal sore gums and also to whiten teeth. Spearmint is a hardy perennial herb that reaches about 1 meter (3 feet) in height. It has bright green lance-shaped, sharply serrated leaves and pink or lilac-colored flowers. The astringent properties of spearmint oil also make it a great addition to a facial acne toner or facial steam as it helps to fight oily skin. Aroma : Minty, slightly fruity aroma that is less bright than peppermint. Chemical constituents: Spearmint oil has various chemical compounds that include pinene, carvone, cineole, linalool, limonene, myrcene, caryophyllene, menthol. Extraction: It is extracted by the steam distillation of the flowering tops. Spearmint oil can be effective for the digestive system, for the respiratory tract, for a tired mind and for skin problems. The therapeutic properties of Spearmint oil are: local anesthetic, antispasmodic, astringent, carminative, decongestant, digestive, diuretic, expectorant, stimulant and restorative. Spearmint is a proven antibacterial and antifungal and extremely useful in inhalation for respiratory infections, and in topical applications for skin infections. Spearmint is helpful for the respiratory system. It is anti-inflammatory and active in expelling catarrh. 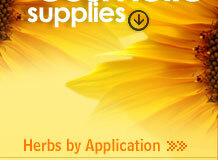 It is good for both chronic and acute bronchitis. It has a calming effect also on the digestive system. It may mitigate some of the effects of travel and sea sickness. 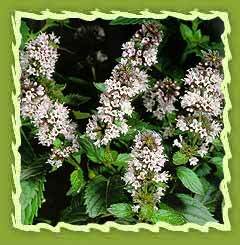 Spearmint impacts effectively on cystitis, general nervous upset and skin healing. It may work to stem heavy flow and leucorrhea. It stimulates a tired mind and helps with headaches, migraines, nervous strain, fatigue, stress acne, dermatitis, congested skin and sore gums. Spearmint is commonly used in enhancing flavor for the food ingredients due to its pleasant aroma. It is widely used for making chutney and for preparing other culinary dishes like vinegar, jellies, iced drinks and lemonades. The refreshingly cool, minty flavor of the infusion blend tea, with its citrus undertone can assist with the discomfort & symptoms associated with allergy season. If it is taken along with freeze-dried nettle capsules , organic fennel seed and a pinch of organic stevia could lead to relief from allergy. A soothing tea is brewed from spearmint leaves and even an alcoholic beverage prepared from them act as an antidote for poison. Spearmint oil is used in U.S.A. for flavoring chewing gums, tooth pastes, confectionaries and other preparations. Mint oil is used in lozenges and condiments for its cooling and soothing vapor that help in break up of congestion while lifting spirts. It is also used to energize the mind and body. The properties of Spearmint, closely resemble those of peppermint, but its effects are less powerful, making it better suited for use in children, its taste is pleasant and less strong also. Burners and vaporizers : In vapor therapy, spearmint oil can be used for vomiting, colic, flatulence, headaches, migraines, nervous conditions, asthma, bronchitis, sinusitis and catarrh. Blended massage oil or in the bath : It is used as a blended massage oil or diluted in the bath, spearmint oil helps with headaches, migraines, stress, fatigue, sinusitis, asthma, bronchitis and nervous conditions and to relieve itching. spearmint oil is used in a cream or lotion as it can help for decongesting the skin and to a lesser degree acne as well. It is also an extremely useful facial soap for oily skin. Spearmint act as an insect repellents, emollients, astringents and ant repellents . Spearmint is an excellent industrial solvent as it is non-toxic to human beings and animals and environmentally safe for cleaning up petroleum waste such as grease, oil and tar. Spearmint increases and sharpens mental powers. It provides protection while asleep when stuffed with a pillow or mattress with spearmint.